The whales are back! An adult humpback whale did a “beautiful” fluke up dive in front of excited crew and passengers on Pacific Whale Foundation’s vessel Ocean Voyager at 7:36 am this morning. 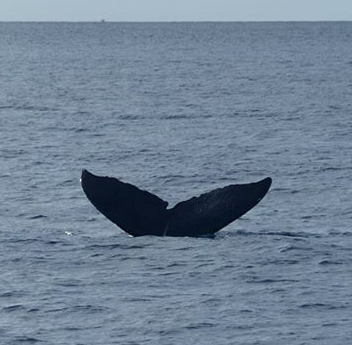 This is Pacific Whale Foundation’s first verified humpback whale sighting of the season off Maui. With 7 vessels and over 15 whale watches per day during whale season, Pacific Whale Foundation puts its time in on the ocean! It has also introduced exclusive Whale and Dolphin tracker! This tool is updated every day and recorded in real time, displaying all sightings within the last 7 days. Captain Gabriel Wilson of Ocean Voyager reported that the humpback whale was sighted about two miles from Molokini towards Wailea heading north in the direction of Ma’alaea Bay. “I was the first to spot a single blow on our way out on the port side,” Captain Wilson reported. “I couldn’t believe it, so I headed in that direction.” “We got about 300 yards from the whale’s location and watched it blow a few times, and then do a fluke up dive,” he noted. Wilson said that the crew did not get any photos but some of the passengers did. “This first sighting is right on schedule,” commented Greg Kaufman, founder and Executive Director of Pacific Whale Foundation. “Last year’s first sighting took place on October 15 and coincidentally was also by Ocean Voyager during a Molokini snorkel cruise.” “The majority of our other first sightings took place in October,” he noted. Kaufman reports that the migrating whales do not arrive all at once. 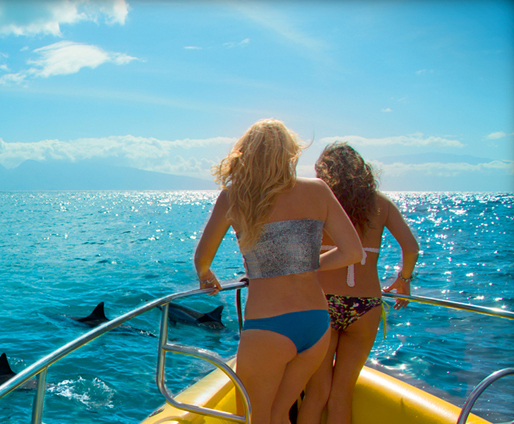 They begin to appear off Maui’s coasts in autumn, with their numbers increasing through November and December. Humpback whales migrate to Hawaii from their northern summer feeding area that extends from Northern California to the Bering Sea. The whales migrate to Hawaii to mate, give birth and care for their young. At least 12,000 humpback whales are believed to migrate to Hawaii each winter.